So you have found that perfect spot to catch a wary whitetail off guard. You have the perfect tree for your stand and it is located in the perfect funnel to bring old Mossy Horns into your shooting lane. There is still one key piece to this puzzle that is often overlooked. How to approach the stand. I used to say deer were lazy, I have since changed that wording to something that sounds a bit less negative. Deer are “efficient”. Humans on the other hand…….well, it is what it is, we can sometimes be a bit lazy. So when most think about how to get to their stand they simply base it on the path of least resistance and while this is one consideration it certainly should not be the only one. Where do I anticipate the deer will be as I am making my way to the stand? Will they be bedded, feeding or in transition from one to the other? What is the prevailing wind for the location? How can I approach without my scent being broadcast into the area I suspect the deer will be as I make my way to the stand? Is there an approach that will be quieter, such as through a stand of pines. What is the path of least resistance. This is more important during early season here in GA. I prefer to not be sweating profusely when I reach my stand. Are there any terrain features I can use to my advantage to solve any of the previous questions? Creeks and drainage’s are at the top of my list of terrain features I can use. If hunting public land, does my preferred approach force me on to private property. If it does I will either seek permission or find another path. Trespassing is never acceptable! Once I have chosen a path I will use that path when scouting or checking trail cameras to commit it to memory. If it is a lengthy approach or in an area I want to stay out of I will store the route as a track in my GPS so I can enter in near darkness and find my stand without disturbing the area. Lost your tree stand? There’s an app for that! Many hunters tend to think that deer are lazy, and feel lucky in a spot they think is most suitable. This is usually on some feeling sensed by some familiarity to the grounds. However, I do advice to not be complacent, and lazy. Deer are actually quite smart and can sense, and smell, humans from a long distance, and naturally avoid being hunted. Fortunately, I have a lot to share about making sure that your spot can work the best to your advantage. 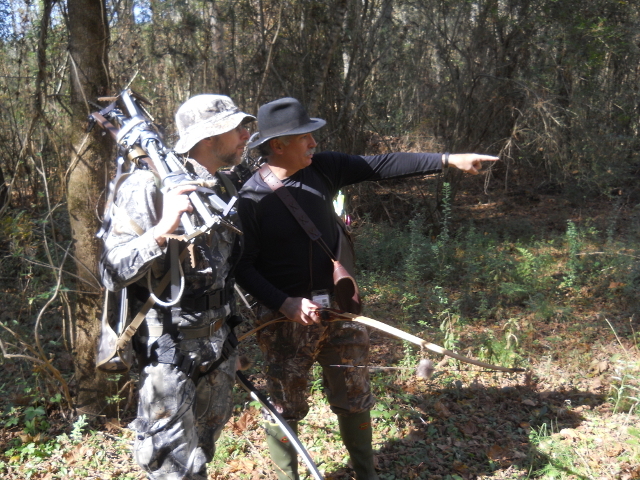 Once you have taken note of this, and found a location, it will be good to put some trail cameras to confirm that your location is actually a good location for hunting.